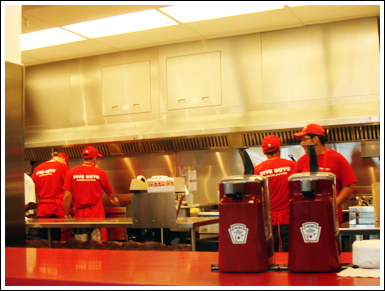 Five Guys Burgers and Fries is a burger joint that I've been meaning to visit for quite some time. 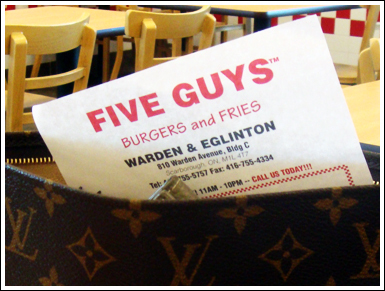 Ever since the franchise has come to Woodbridge, all of my friends who have first tried it in the States or that live within that area have all been asking me to check it out. 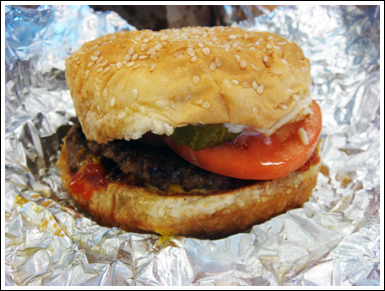 I've only heard great things about Five Guys, so I was very eager to try the burgers that everyone has been gushing to me about! They had finally opened a location closer to where I live, so I knew I had to get in on the action! 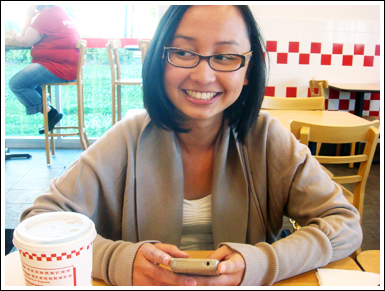 I had finally had some downtime from all the school work and actual work work to hang out with my buddy Jessica, and since we were both starving, we decided to finally check out Five Guys... the burger joint, of course! 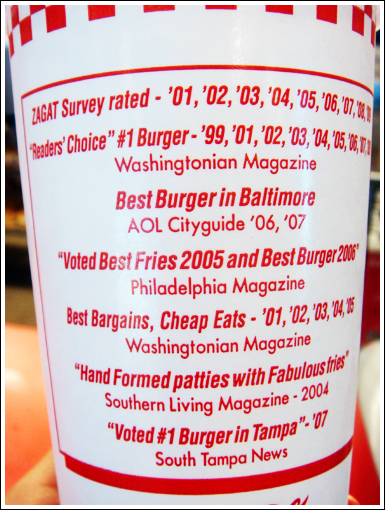 What to order, what to order? 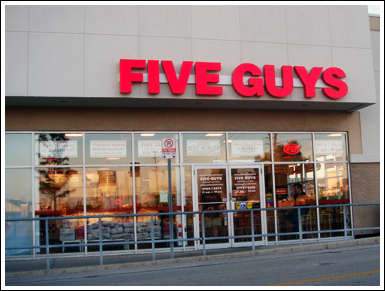 Fun Fact: Five Guys were actually working at the time... I just had horrible timing! 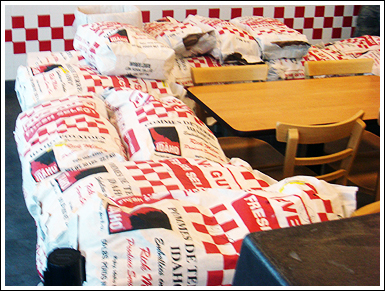 Stacks on stacks on stacks of their Cajun fries. So was all the hype really worth it? I'd say so... From beginning to end, the service was amazing! 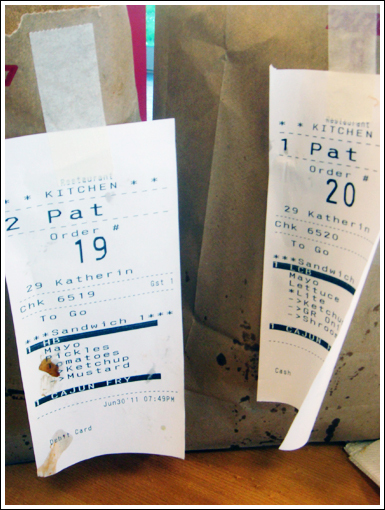 The cashier, Katherine was very inviting and even explained to us how the menu works, since it was our first time there. 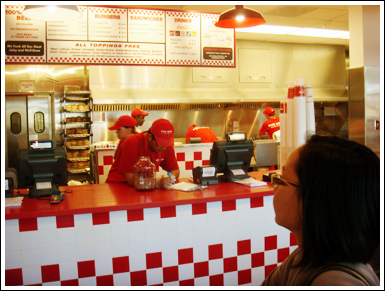 Me and Jessica both agreed that Five Guys reminded us of In-N-Out in all of decor, hype and value. 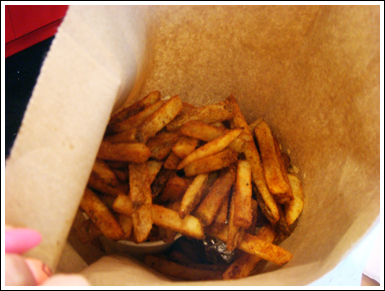 There were five things I really liked about Five Guys: the mountain of fries; the free, all-you-can-eat peanuts; the amazing price point of their meal; the simplicity of the restaurant; and of course, their scrumptious and filling burger! 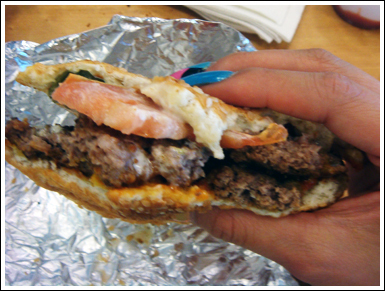 I urge all of you readers to go out and try Five Guys, if you haven't already, because it will definitely satisfy your burger (and fry) cravings! 4.5 stilettos.